As I mentioned back in December, I've been looking for a leopard-print coat for what feels like forever, and this is a problem of my own making, because I'm very, very picky about my leopard prints. 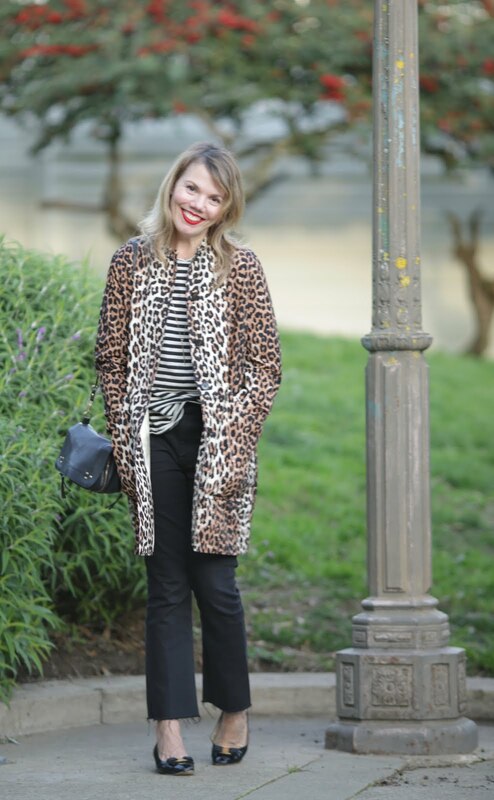 I also didn't want a faux-fur coat (I already have one, and it's rarely cold enough in California to warrant it), which really narrows one's options. I'd had my eye on a particular Ganni coat as a contender, and when it went on sale at Net-a-Porter, I jumped on it. And I'm so glad I did, because I've been wearing it pretty much nonstop. 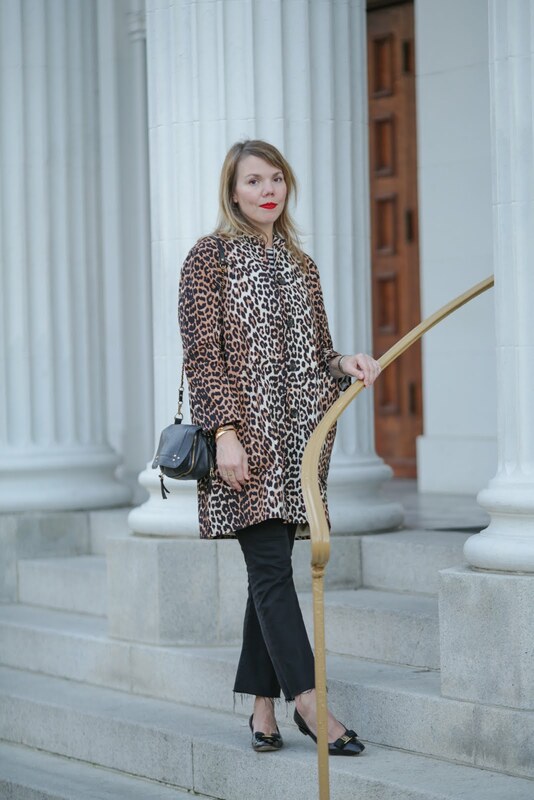 For those of you who don't believe leopard is a neutral, I'm going to try my best to convince you. This Ganni coat had a few details that gave me pause—the sleeves are bracelet-length and there's a band collar versus a notched lapel—but the cut of it is so fantastic, all is forgiven. The shape is cocoon-like, but a little retro too; it's just very striking and chic. It's also a thick, sateen-like cotton, which gives it more structure. I also love how varied the print is—it almost achieves the effect of a real pelt of fur, with none of the guilt. I am so in love with this coat, I would have paid full price for it! Well, almost. 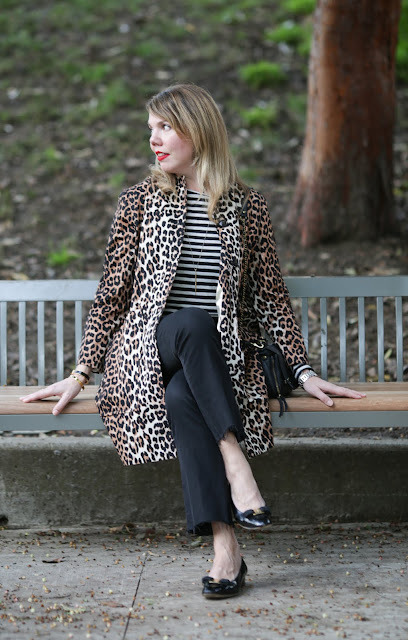 This might be the most controversial part of this post, but I decided to pair my coat with a striped T-shirt (last seen here), because I do firmly believe that leopard is a neutral! There is an art to mixing prints, however, and I like to go by two general guidelines: 1) make sure there's at least one unifying color and 2) make sure the pattern sizes or shapes vary. In this case, both have black and white prominently featured, and while the scale of each is not so different, the stripes are graphic and the leopard is more organic-looking. I think it works pretty well! 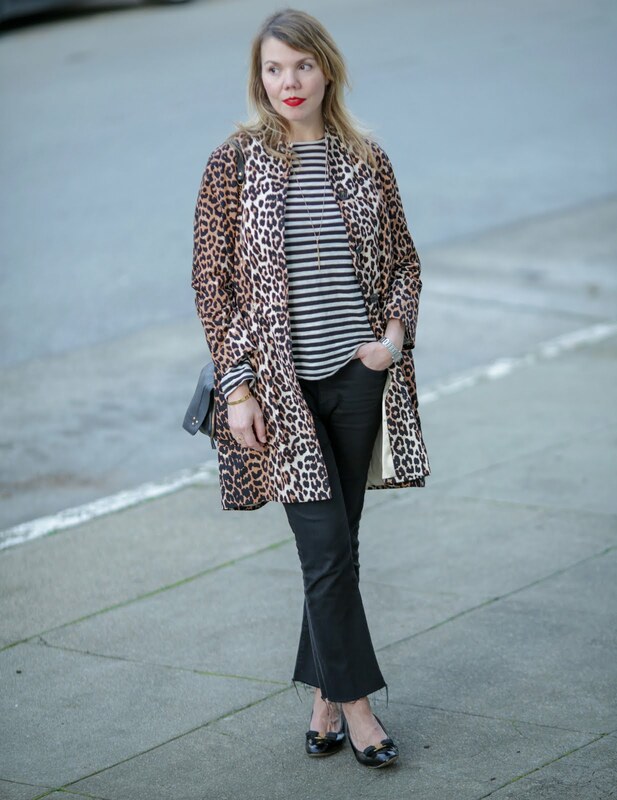 With so much going on up top, the rest of my look needed to be pretty subdued, so I picked my cropped bootcut jeans, which are by Madewell and so incredibly flattering. They are quite high-waisted, but like all Madewell jeans, they have hidden stretch in the pockets that holds you in like invisible Spanx. (Note: I suggest sizing down in these, because they stretch out quite a bit.) They make me feel like Audrey Hepburn in Funny Face, which is never a bad thing, if you ask me. You remember my Jerome Dreyfuss bag (last seen here and here), and my Hermes bracelet (also seen here and here), but I've added in some rings and my new favorite bangle that's engraved with "Nolite tes bastardes carborundorm," which fans of The Handmaid's Tale will recognize. 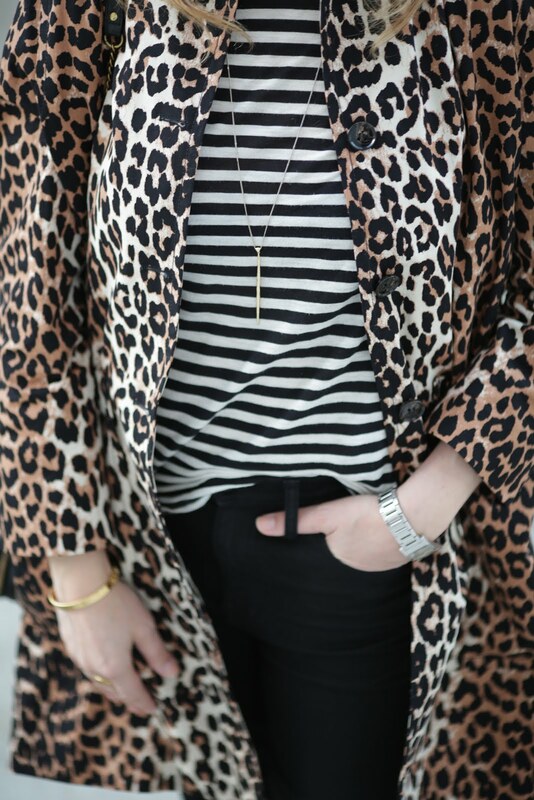 And the necklace is one of my everday faves—it's delicate and goes with pretty much everything. These shoes are one of my all-time favorite pairs. Yes, they're classic, but they're so comfy, and there's a good story behind them. I bought them in a consignment store for $40 (yes, I'm serious, and no, I will not shut up! ), and the owner was so happy to get rid of them, because they're an 8C, and apparently no one has that shoe size. I have wide feet and end up in an 8.5 most of the time because very few brands make a wide width, so I was overjoyed to find a pair of shoes that actually fit me properly. Everyone won—and who doesn't love a happy ending? This coat is so fab. It compliments the outfit so well, love it! Lovely coat Cheryl. 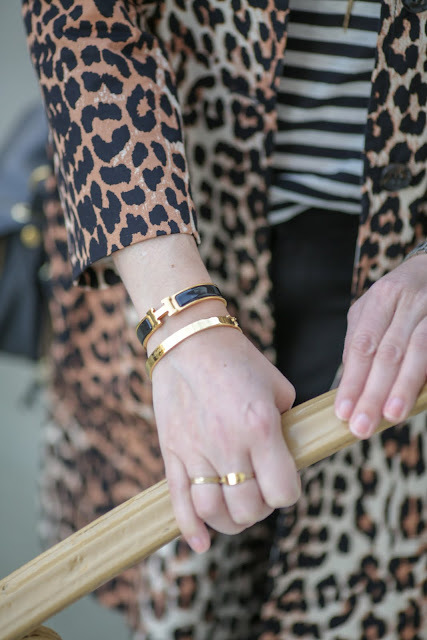 Love the leopard print :) Thanks for sharing at Creative Mondays :) Hope you can join us tomorrow. Beautiful coat! 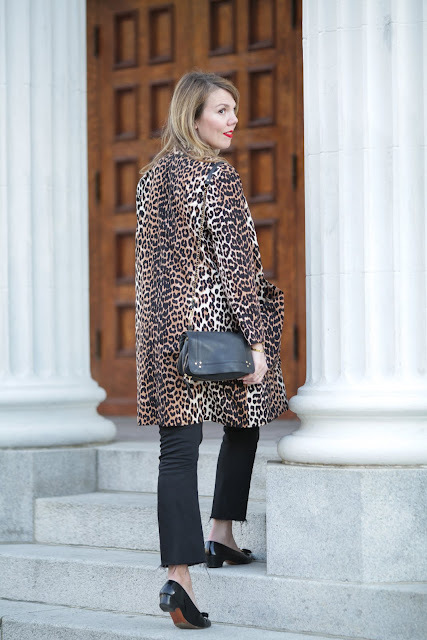 I think the leopard coat is a must have as it goes with so much! 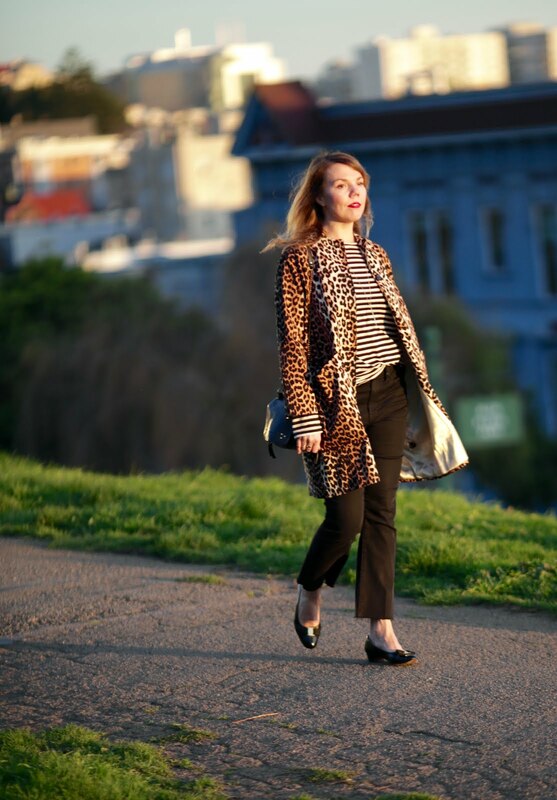 i love the stripes aand the raw hems of your jeans, pretty! Gorgeous, gorgeous coat! I can see why you are wearing it on repeat. I love the stripes paired with it and would wear this look in a heartbeat. Yes, leopards are totally a neutral. 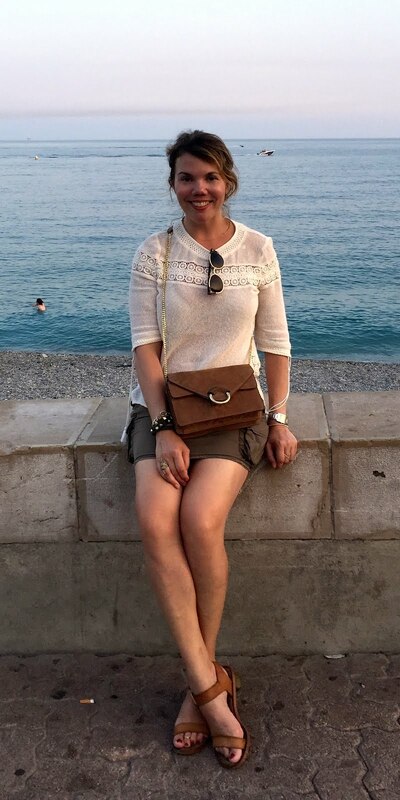 Thanks for linking up with Fabulous Friday, Cheryl! I love the combination of leopard prints and breton stripes, it's one of the best print clashes out there. The outfit suits you beautifully!